Here’s my review of Richard Rodriguez’ “Persian carpet of a book” in today’s San Francisco Chronicle. No, I’ve never met him. On rare occasion, a writer makes a reviewer’s life hard. 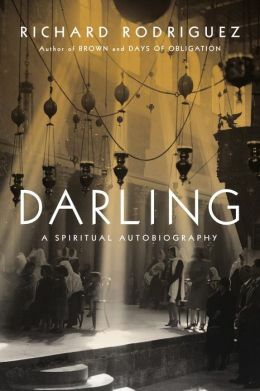 Richard Rodriguez’s Darling: A Spiritual Autobiography has to be celebrated as one of those occasions. The deep pleasures of such a book defy the usual capsule account. Instead you want to read sentences and whole passages aloud as I’ve been doing over cafe and dinner tables the past few weeks – “Listen to this!” You want to press “Darling” on others as a gift of friendship, judiciously picking whom to share it with lest you expose Rodriguez to pedants who can’t fathom the way his mind works. 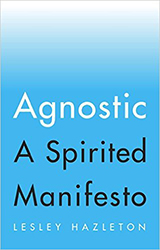 “I did not intend to write a spiritual autobiography,” he writes in the foreword, and I’m glad to say that despite the subtitle (an editorial addition, I suspect), he hasn’t. This is something infinitely more supple – a rich tapestry, a Persian carpet of a book. 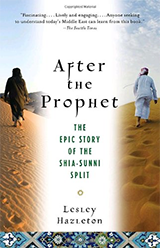 True, it’s framed as an exploration of his own Catholicism post-9/11, when he realized that “Christianity, like Judaism, like Islam, is a desert religion, an oriental religion, a Semitic religion, born of sinus-clearing glottal consonants, spit, dust, blinding light,” and began to wonder how he and the “cockpit terrorists” could worship the same Abrahamic God. But Rodriguez’s faith is light-years away from the deadening dogma of “mitered, bearded, fringed holy men.” As he investigates “the ecologies of the holy desert” – specifically the Judean desert – what he creates instead is more like an ecology of the soul. And unlike the desert, it teems with life. But at the heart of this book are women. Rodriguez – gay, Catholic Rodriguez – loves women. Not the way many men say they do, with a sexual twinkle in their eye, but deeply and gratefully. 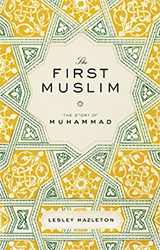 The stand-alone masterpiece of the title chapter starts with that “voluble endearment exchanged between lovers on stage and screen” (Noël Coward‘s “sequined grace notes flying up” like “starlings in a summer sky”), touches among other things on the use of habeebee among Arab men (“In a region of mind without coed irony, where women are draped like Ash Wednesday statues … men, among themselves, have achieved an elegant ease of confraternity and sentimentality”), and builds to the central take on how much the three “desert religions” need women to survive (“Somewhere in its canny old mind, the Church knows this. Every bishop has a mother.”). Even the most flinty-hearted reviewer could only melt at that.